Discussion in 'Trek Tech' started by Arpy, Jun 11, 2017. Romulans have used a dazzling dizzying variety of ships in their time. We never saw a Romulan ship between TOS and TNG on screen, and I talk/link to possibilities in my thread on the subject here. Infamously, the Klingon Bird-of-Prey was originally going to be a Romulan ship, but I don't know when in the design process the switch was made. Is the model entirely Romulan with a different name? It's pretty different from the K't'inga we saw in TMP... (I think I argued against.) Also in the comics for this time we saw FASA's Nova Class Battleship, again vastly different from both the TOS BoP and TNG Warbird shapes. 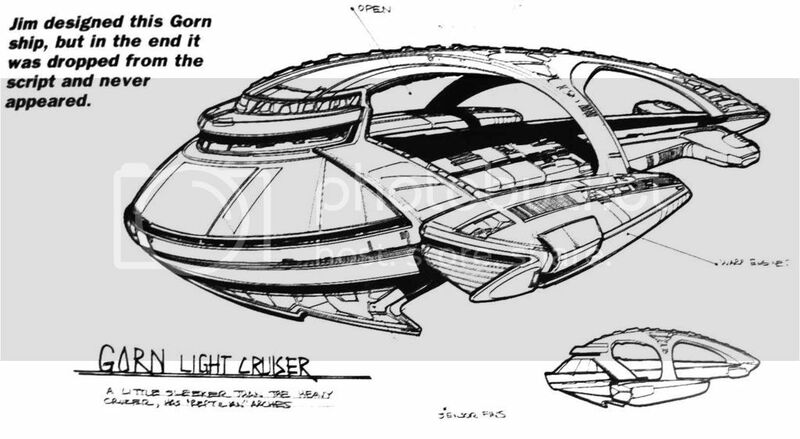 The Earth-Romulus War Era Early Romulan Ship was created by show modeler Greg Jein and featured in multiple official reference books, this time showing an old-fashioned sci-fi "Ming the Merciless's flagship"-like configuration. Also vastly different is the [hopefully forgettable] Romulan Drone used on ENT, which was a reuse of a CG from VOY, I think. Then came the Tim Burton Octopus Decepticon Narada used in Trek '09. Finally, I'd like to include the again-differently-shaped Kestrel Class from the upcoming fan film Pacific 201. ...I'm usually unimpressed by the countless "wicked green bird" designs fans and PTB alike come up with for the Romulans (even if some are a little different), and often sigh at the not-very-alien-ness of them. Maybe because I love the supercilious baddies so. (And man is that organic tri-hulled warbird inspired!) Thinking about the variety of designs they've employed over the years, I found myself realizing that they really are among the most diverse shipwrights we've ever seen. I Romulan salute the Star Empire! I actually didn't miss it. It and the Romulan Shuttle I didn't consider unusual enough to note alongside the larger differences between the BoP--Klingon--Nova--Warbird--Drone--Narada--Early--and Kestrel designs. Also just want to note the slight similarity between the Nova and Early ship designs, with their long-monohulls and dangling wing shapes. I doubt they were designed with each other in mind, and they have little in common with the weirder and more definitive BoP and Warbird shapes, but they're slightly close to each other. As are the Nova and Kestrel, with their pointy fore and aft and dangling wings. The Romulan ship we see on ENTERPRISE is what a ST II:TWOK era Romulan BoP should look like. When I first saw the top view of FASA's Winged Defender (the side view was smudged in a catalog) I looked at it backward--thinking the impulse was a bifurcated, double plasma weapon. You see how some kitbashers will cut into a refit saucer and put side by side torps there? I thought that was the Winged Defender's look. Might be nice to see Atolm reverse that design. When I saw what it actually looked like--an overly real looking Bird--well--I liked my bit of confusion better. Thinking about the variety of designs they've employed over the years, I found myself realizing that they really are among the most diverse shipwrights we've ever seen. They don't hold a candle to the Gorn. Since we never actually saw a Gorn ship on-screen until the Remastered "Arena" (and even then, barely at all), every single game, comic, and unauthorized blueprint has used a completely different aesthetic every time! Nah, Romulans have them beat. We've never properly seen a Gorn ship. One was not originally shown in "Arena" to set an identity, and this one from the remastered TOS is the only one we really have to go on. I remember this being the first one I ever saw (in the Star Trek: The Official Fanclub magazine ages ago), but I kinda doubted its officialness then too. Kinda off-topic, but is there Gorn ship you like? What's really striking to me about all this is how different Romulan ship design is in comparison to other races. Especially the other Trek mainstay alien, the Klingons, whose ships mostly look alike, regardless of era. Fans will often talk about how ships don't look like they're from a particular race. This recent Trekyards video is about a Rick Sternback design multiple fans think looks too Cardassian to be Starfleet. In my thread about the overuse of saucers, many suggest that without a saucer, Federation ships are too difficult to recognize. The Romulans are far more diverse and have me wondering about creating a different Romulan ship myself. I can see Ricks design as a ship to spy on Cardassia. It might be that Romulas doesn't carry just one style at a time so they can employ their usually stealth tactics and infiltration missions without one race being able to tell who is spying on them, or if they do figure it out and tell another race (by showing them the ships), the other race will say, 'no that's not Romulan, Romulan ships look like this', with a picture of some other ship that is very different. ^ It could use some work, but I kinda like it. I like a design that adds a distinct new sensibility to those we already know. This one is immediately different from the other major races. It's part of the problem I have with the Orion ships featured on ENT or some of the games. The Orion Interceptor from looks like it should have, with minor adjustments, been a Romulan ship. The Orion Corsair from ST: Online looks like it's the product of the Klingon-Romulan alliance. Harrad-Sar's Barge from ENT looks like it could be a civilian Klingon (or Romulan) barge. The Romulan Drone looks like it could be Harrad-Sar's second barge. Re the Interceptor, why TPTB would have a third (somewhat important) a-l-i-e-n race like mean green birds for ships is face-palm-inducing. The green also makes less sense for the Orion's because it's their skin color. 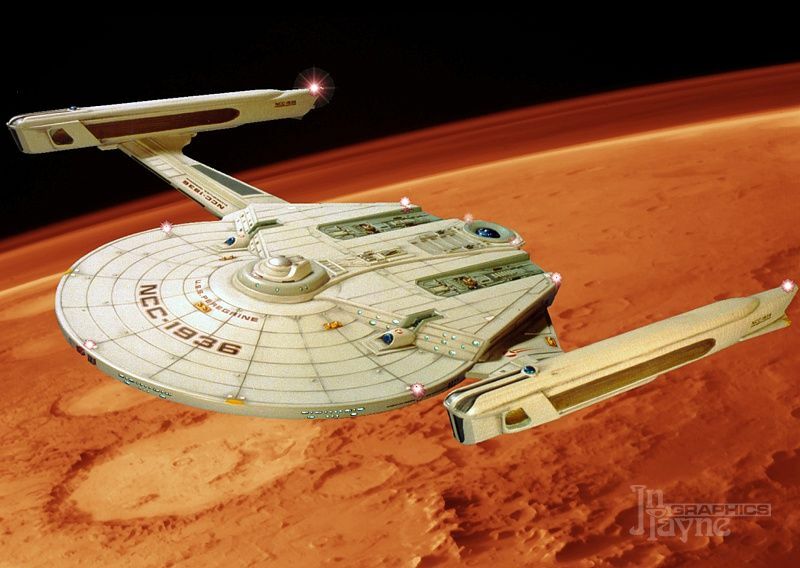 Romulans building blood green warships I can see, but can you imagine a skin-colored aircraft carrier? ...We get it, producers, Little Green Men, but give it a rest. You already green-ified the Borg too from their original black/grey/gold/red esthetic. That's a good point. I wonder if it reflects changes in the Romulan political landscape, as different regimes might have different ideas regarding ship design and use. Romulans are supposed to be an Empire. Maybe when they conquer/acquire a civilization with a different, superior ship design aesthetic, they quickly adapt to that style. There's also the Klingon Alliance, where they all of a sudden showed up flying Klingon ships. Maybe that's the answer, that they purchase or outsource most of their ship needs as a matter of course. In Enterprise, we see them flying a holoship that takes on the appearance of rival civilizations. Maybe they found it easier to just purchase these ships themselves (only going back to their aesthetic in the TNG era). Keep everyone on their toes on whether it's a Romulan, Klingon, Borg, or whatever ship. I think they're an interesting creative people, who've grown over time with new technologies and volatile politics. It's the Klingons who don't change much, century to century, one should worry about. They're going to be out-evolved. I sometimes wonder if the D-1 was just a Hur'q ship and every model since has been a slightly tweaked version of it. Thinking of my comments in this thread about the progression of Earth ship designs, I think designs should vary more, especially century to century. The timeships of the 29th century look way too conventional to my eye. They should be really out there. What do you think of the Vertical Warbird, Probert designed for the ships-of-the-line calendar? I like it, but the head needs work. Also, I kind of like the last ship in this Star Trek: Armada game pack. The wing configuration is distinctly different from the typical T-shape of every single other Romulan ship ever since TNG. It's a little too bird-y, but it's interesting from a design perspective. I see it as an auxiliary ship in a fleet. On bird-y-ness, what really sells the D'deridex for me is its most striking feature, the dual-hulled stardrive. The T-shape wasn't new, and the bird motif we'd seen in the KBoP, as well as painted on the RBoP. But that alien configuration was a jaw-dropper, and I wish Romulan designs did more with that as a central component. [Despite being often broken] we have Roddenberry's rules for nacelle line-of-sight; maybe the Romulan singularity core needs the space. To be blunt, the space-elves with the bird ships are somewhat cheesy left at that. The out-there configuration makes them more intriguing. Someone painted the Andromeda Ascendent green and dubbed it the Fvillhu Class. I admire the attempt at shocking the eye again, as the D'deridex did. Have you seen this from Star Trek: Online? The reptilian tail is a little puzzling to me, given that Gorn don't have tails and it's too on-the-nose (we get it; they're reptiles), but I kind of like the design. The mini-saucer command tower I think I really like. It's restrained (not a giant lizard mouth) and the saucer shape reminds one of the civilized Federation, making the Gorn less Mindless Reptilian Animal Baddies. It's also kinda goofy, reminiscent of the saucer-like component reuse in the Romulan Bird-of-Prey, and I can imagine the same design team that glued a couple of nacelles to a Tholian diamond to create the U.S.S. Aurora throwing this together too. Moving to Trek Tech, at the OP's request. Romulans really like birds. I'd like to see Barlowe do an art book on all the avians there. Have you seen this from Star Trek: Online? I hadn't, no... I don't play STO. It's a nice image, but isn't it just a fleshed out version of the Gorn ship from the remastered "Arena" (which you had previously linked to above)?